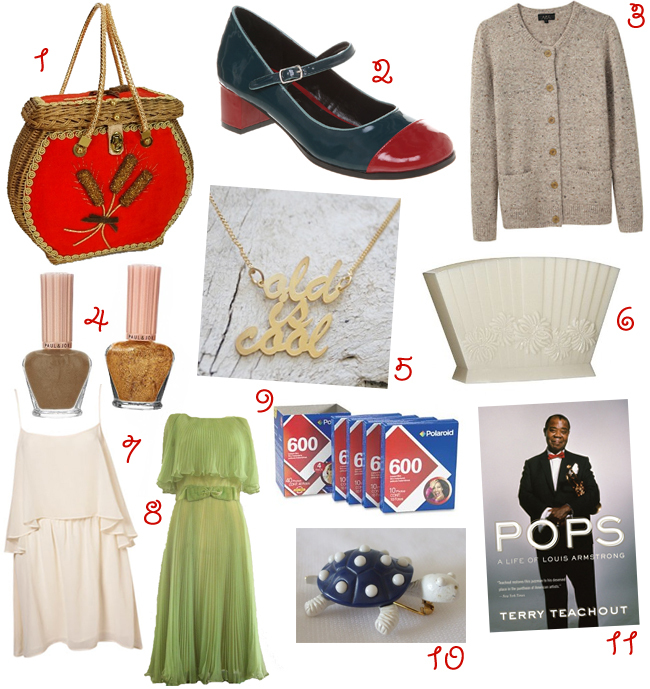 Ooh I love the mary janes and that lush straw bag. Just as well I can't afford either of them at the moment! love the chiffon dress....lovely wishlist...!!! OMG I was going to get that chartreuse chiffon dress for my birthday. Well my friend was. It was between this and a canary yellow mini chiffon dress. Hehe. You must go on Etsy a lot like me :) High five!!! I love the look of those nail polish bottles as well as the colors within them! Ahhh, a makeup brush holder... something you'd never think you need but just seems so amazing and practical and altogether necessary when you learn it exists!